Pair of 19thc Antique Burr Ash Candlestands . English. C1840-60. 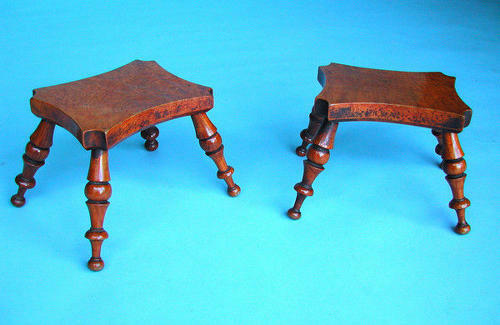 A rare pair of small 19thc "Burr" Ash Stools, possibly used as Candlestands to bring the light up closer for fine needlework and sewing, or just simply made to show the skill of the person who made them....either way they are a desirable pair of stools, and rare in "Burr" Ash.